Need a new flashlight look no further because we found the R2-D2 key chain with build in LED light to help you out on those dark nights when you are in need of some light. The key chain is great to carry keys and the light can help you find the lock in the dark. And R2-D2 in this case is just there to look good on you bundle of keys. 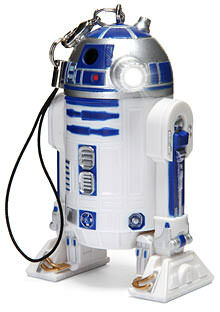 Go check out this R2-D2 LED Light Key chain. 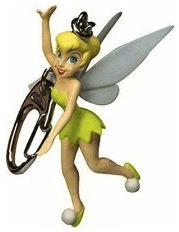 A great key chain of Tinker Bell. Great for holding your keys but also great for decorating your backpack or maybe you jacket. A nice and simple key chain with the same picture on both sides. 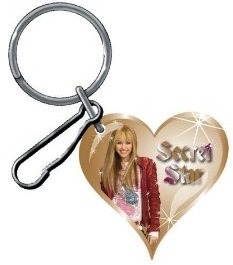 And of course you want this Hannah Montana Key chain to show that you like Hannah. House fans out there know about the tennis ball sitting on the desk of Dr. Gregory House. 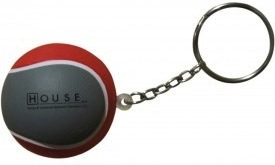 And if you need a key chain then why not settle on one that is famous from the TV series House? Here is a nice little key chain from Hannah Montana. It is the perfect gift for the kids. 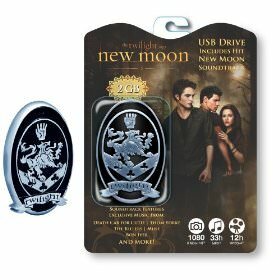 And it is not just a key chain because it also comes with a zipper hook so that you can hang it on your kids jackets. You keys need a new key chain and then you know it, there is only 24 hours left and that means why not get this key chain from the hig TV series 24? So wait no longer get your 24 Clear Plastic Key Chain before it is to late! 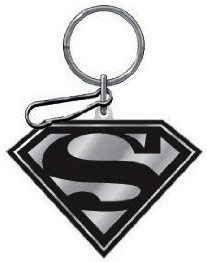 Carry your keys like a superhero on your Superman key chain. This black and silver looking Superman logo is really classy and of great quality. It even comes with a zipper hook so that you can use it as a zipper pull. How cool would this logo make even the dullest jacket? 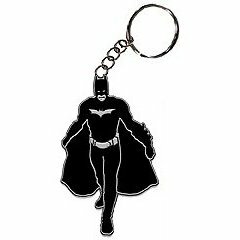 This Batman Key Chain is made of metal with black enamel and of course looks great and would be great to hold the keys to the Batmobile. This is a key chain of Tintin and the figure is getting ready to get out and is starting to wear his trech coat. Tintin is about 5.5 cm tall and comes with a cliphook what makes it easy to let is live with you keys or you can use it for other things like a zipper pull or backpack decorations. A true Tintin fan just needs this so come and have a better look at this Tintin Key Chain.